As expected, alongside the iPad Air 2 and the iPad Mini 2, Apple has also launched a brand new 5K 27 inch iMac. The iMac is a pretty solid device by the looks of things so far. It comes with 5210 x 2880 pixels and a display which Apple claims is unprecedented on any other desktop before it. With 14.7 million pixels, the Retina iMac has 7 times more pixels than a HD TV and 67% more pixels than a 4K display. To top it all off, the display is a mere 5mm thin on the edge. With the iPad Air 2 and now the iMac, Apple seems to have called dibs on making remarkably thin devices in the industry. With it’s 5K resolution, the 27 inch Retina iMac will give all the top displays out there a good run for their money. Apart from introducing a startlingly high resolution for the device, Apple has also made the iMac more energy efficient. A feature being dubbed as Organic Passivation will reduce pixel cross talk on the iMac’s display and make the display use 30% less energy. This will also be made possible courtesy of a new low power backlight and Oxide TF. The Retina iMac will be coming with Intel’s Quad Core 3.5 GHz Core i5 on board. 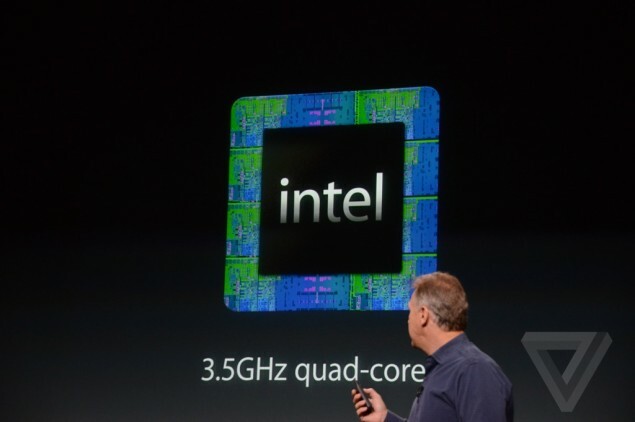 There will be an option to upgrade to the 4 GHz Core i7 to cater towards more performance intensive needs. 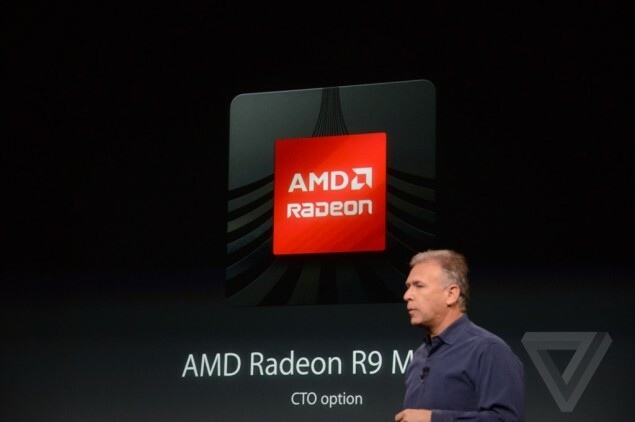 For graphics, Apple has chosen AMD’s flagship Radeon R9 series with 3.5 Teraflops of graphics power with CTO. A 1 TB fusion drive and Thunderbolt 2.0 have also made it on board the Retina iMac. All of this will be couple with a standard 8 GB of RAM. However, apart from the monstrous 5K display, perhaps the most striking feature of the Retina iMac is it’s price. 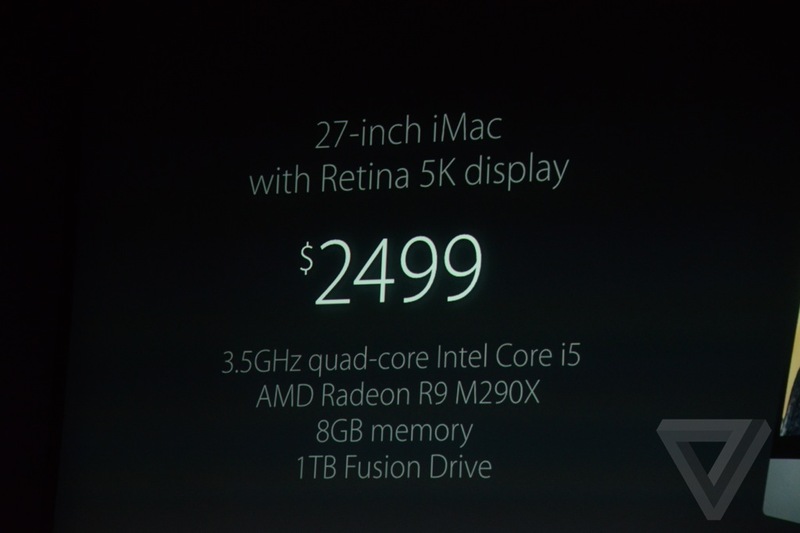 The 27 inch Retina iMac will be starting from $2499. Looks like Apple has decided to give tough competition to a PC market that it has already claimed is being dwarfed in sales by it’s iPad. Lets see how things turn out.